S-R-H-H, Ent. would like to wish all readers Merry Christmas and a Happy New Year! 2016 has been another great year for independent Hip-Hop. A lot of great releases. S-R-H-H have done some album articles through the year, but lately it has been hectic. But, we will be bringing you more Hip-Hop news, articles and updates in 2017. We will post some news about already released albums in one article later as well. Anyway in the meantime, check out all the album articles and reviews/recommendations we already have on our site! Stay safe. One love. Epidemic - 4 Dimensions On A Paper (2016) Out Now! 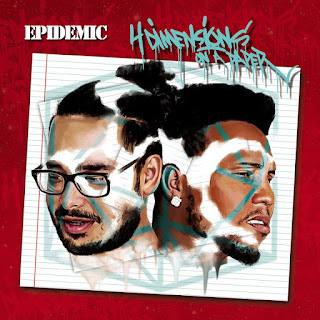 Hip-Hop super-duo Hex One & Tek-Nition as Epidemic is out with their 4th album entitled "4 Dimensions On A Paper", released through Mic-Theory Records! With productions from Boora, Da Eighth, Figub Brazlevic, Jewbei, Planet Ragtime, SicknessMP, and The Loop.Holes, as well as guest appearances from Chad Bazel and Melanin 9. 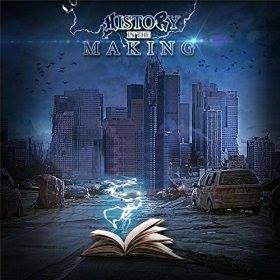 Historical Records - History in the Making (2016) Out now! The Historical Records collective and record label releases their highly-anticipated full length studio-album, consisting of 16 tracks - featuring all members of the collective as well as many other emcees and producers, considered some of the most respected artists in todays independent Hip-Hop scene. See track listing for all features. 09. Underdogs Feat. K-Davenom, Likewise, Hollow, 2sik, Wutzhizface, Spirit of Truth, & M.O.P. Hip-Hop veteran and up and coming emcee Beneficence is out with his brand new album "Basement Chemistry" released through Ill Adrenaline Records. The 19-track deep album offers guest appearances from artists such as: A.G. of D.I.T.C., El Da Sensei, Estee Nack of Tragic Allies, Inspectah Deck of Wu-Tang Clan & Czarface, Masta Ace, MC Eiht, MindsOne, The Legion, Chubb Rock, and Dres of Black Sheep, among productions from: L'Orange, Presto, Da Beatminerz, Explizit One, and many others! For all features and productions see under the track listing. 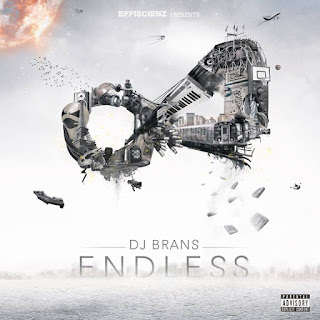 DJ Brans - Endless (2016) Out now! Three years after the release of "The Branstorm", DJ Brans is back with a brand new full-length album release entitled "Endless", released through Effiscienz. The album offers guest appearances from artists such as: Blaq Poet of Screwball, Dirt Platoon, Guilty Simpson, M.O.P., Planet Asia, among many others. 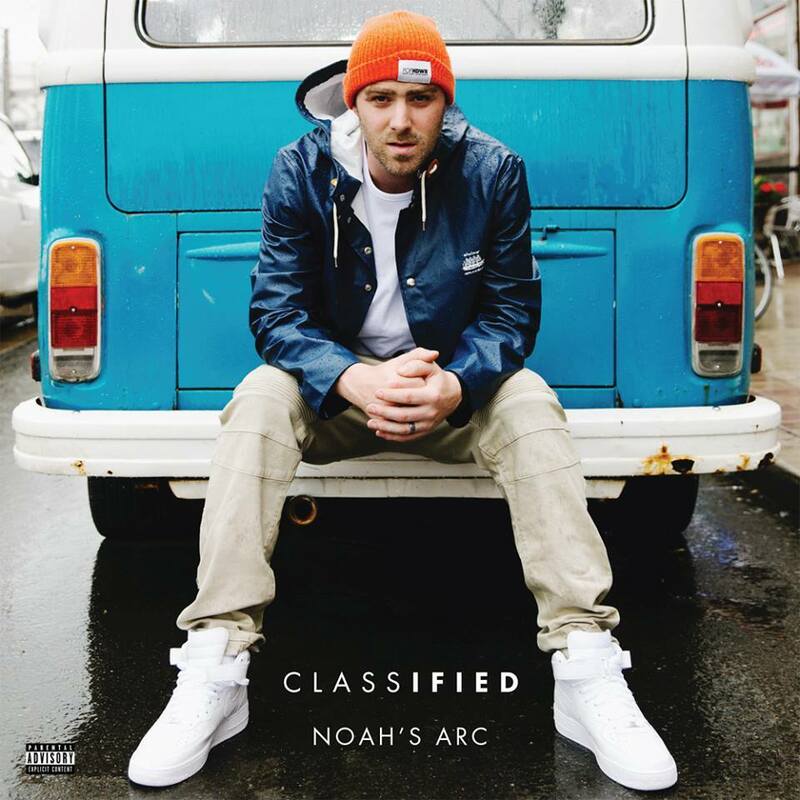 Classified - Greatful (2016) Out now! Brand new release from Hip-Hop veteran Classified! The new 16-track deep album offers guest appearances from artists such as: DJ Premier of Gang Starr, Snoop Dogg, David Myles, Mike Boyd, Ria Mae, Snak The Ripper, and Slug of Atmosphere.